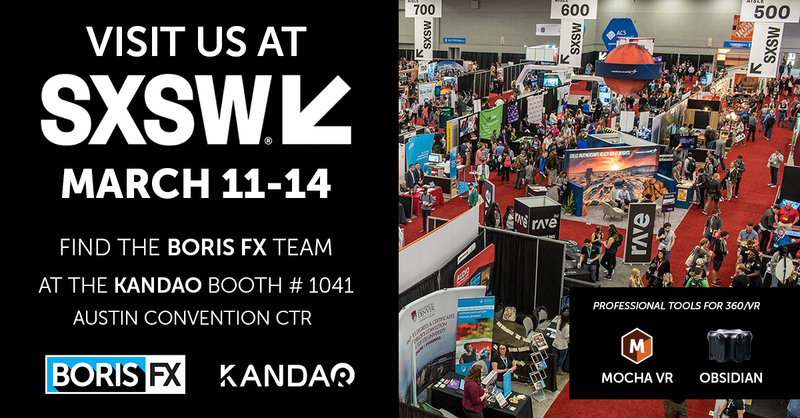 Join the Boris FX team in Austin at the SXSW Tradeshow! Meet our resident 360/VR specialist, Ross Shain. Ross is a special guest of the Kandao Obsidian team and will be showing stereo 360 post production workflows featuring Mocha VR and the Continuum VR Unit. Learn more about the Kandao Obsidian - amazing stereoscopic 360 video cameras. Visit Kandao VR.